As skin ages, discoloration sometimes occurs. These dark spots are sometimes the result of burns, including sunburn, infections, and other injuries to the skin. They can also appear as a result of sun exposure even if there appears to be no burning of skin. Dark spots on the skin are not immediately dangerous, although there is some evidence that they may have a greater risk of becoming melanomas over a long period of time. They are unsightly, however, leading to the use of makeup to cover up these darkened areas on skin, especially facial skin. Those who prefer a more natural look may seek a way to lighten these dark spots on their skin. Many commercial products claim to lighten dark spots on skin. Some of the most popular use bleaching agents and other chemicals to achieve the desired effect. Bleaches and chemicals may work to lighten skin in some instances, but in others, sensitivity causes reddened or peeling skin and may create more problems than it solves. Virgin coconut oil is a pure and natural substance that helps lighten skin pigmentation without chemicals that may be harmful or irritating to the skin. The vitamins and antioxidants in virgin coconut oil help skin cells mature and become healthier. Mature, healthy skin cells shed off as they should, and the newer, healthier skin underneath then becomes the top layer. Using virgin coconut oil on your skin will not lighten dark spots in days, as some commercial products claim to do. Instead, coconut oil must be used daily for a period of weeks or months to see improvement in skin pigmentation. As layers of damaged skin are sloughed off, healthier skin is revealed. In this way, skin can be regenerated, according to Livestrong.com. 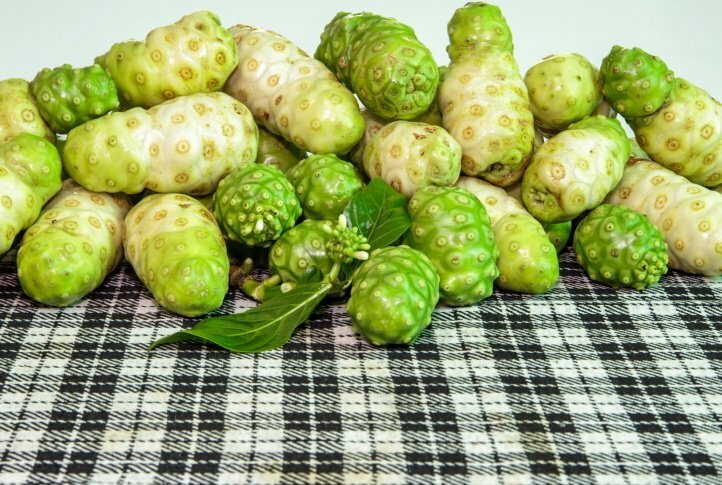 Noni is another plant-based substance that can help skin look healthier. Like coconut oil, noni enzyme contains high levels of antioxidants. Noni has also been clinically proven to reduce inflammation, which can banish redness from skin and improve its appearance. Noni and virgin coconut oil have been used for thousands of years by women in Polynesian countries, India, Hawaii and Australia to keep their skin healthy and young-looking. Biconi's Radiant Skin Facial Cleanser combines the effectiveness of virgin coconut oil and noni extract to bring your skin to a whole new level of health. By using Radiant Skin Facial Cleanser on a daily basis, dark spots will fade and your skin will take on a youthful glow. Unlike many commercial skin care products, Radiant Skin Facial Cleanser does not contain harmful chemicals or artificial ingredients. It is free from parabens, pthalates and sulfates. Vegetable glycerin provides extra moisturizing rather than mineral oil, which suffocates skin. In fact, no animal or petroleum-based products are used in the product at all. It is also alcohol free. This cleanser comes in solid form, making it perfect for traveling. It can be used as a whole-body cleanser, meaning fewer products to carry while on the road. Radiant Skin Facial Cleanser will help resolve any skin care problem you may have, making your skin look its best every day.